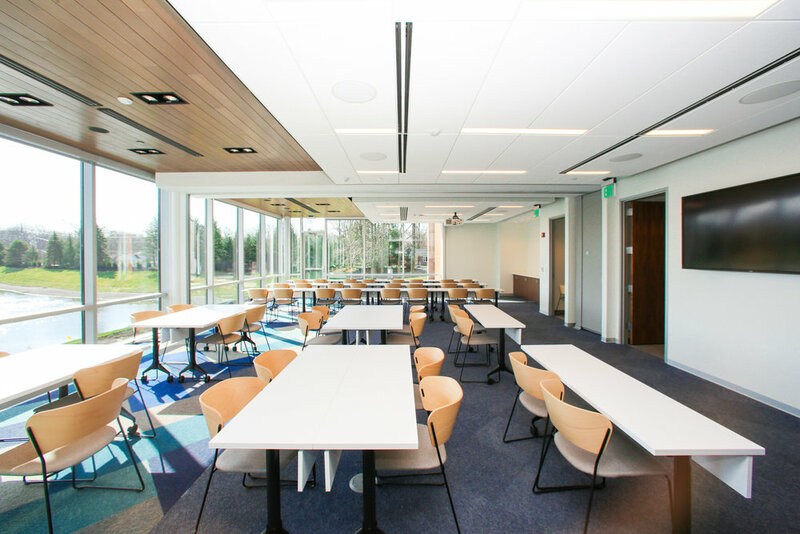 The meeting spaces at Parkwood Crossing are high-tech. You'll find teleconferencing capability, high speed Wi-Fi, wireless presentation for multiple users, laptop presenter connectivity and reinforced audio throughout the rooms. 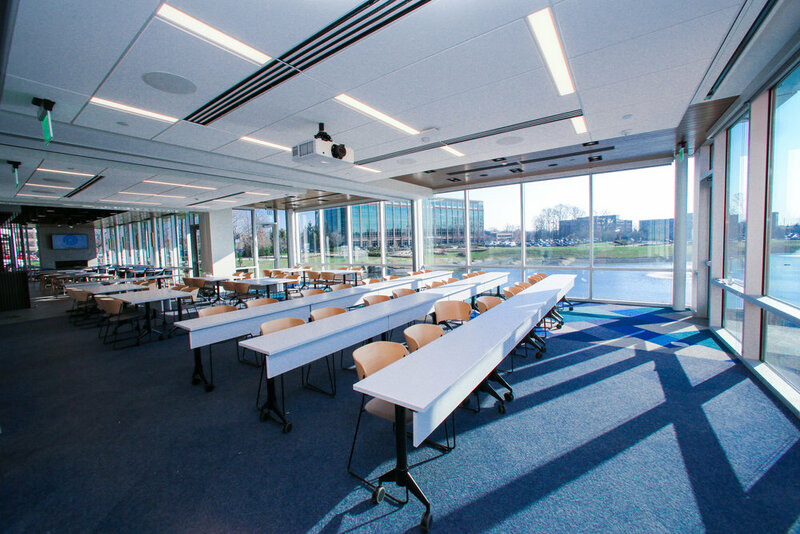 The Lakeview Conference Room is designed for meeting format flexibility and holds up to 48 attendees classroom style and up to 72 theater style. The Boardroom accommodates 8 people. Need catering for your next meeting? Sahm's Cafe is just steps away and offers delicious options for your attendees. Whether you prefer ordering from the menu or catering your meal, Sahm's Cafe can help you with multiple options at the PARC or your office. We accept reservations on a first-come, first-served basis. Please contact Rebecca Price at 317.819.1885 or rprice@strategiccapitalpartners.com. View the Sahm's catering menu and contact their Catering Team at 317-536-1305.